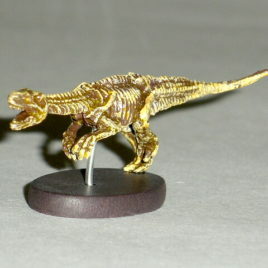 From The Dawn of the Dinosaurs Exhibit at the Mori Art Center in Tokyo in 2010 come this series of small dinosaur figures. The dinosaurs are from those that are featured in the exhibit. This figure is the FRENGUELLISAURUS Skeleton. These mini figures are ONLY AVAILABLE at the exhibit and come in a capsule from a machine. When you put your money in there is no way to know which figure you will receive. We have brought them to you and you can choose which you want! The figures are made of a hard PVC. Each figure is approximately 2 inches long. Some in the series are a little longer. Each comes with its paper insert but no capsule. Scroll down to see additional photos. Clawmark Toys Warning: Not recommended for very young children due to size of toy. This series of capsule figures is from the DINO Kingdom Expo 2012 at Makuhari Messe Center in Chiba, Japan. These were made by Takara Tomy A. R. T. S company of Japan. They are LIMITED to this expo and come in "blind" capsules (meaning you put your money in the machine and do not know which dinosaur figure you will receive. It takes many tries to get a full set including the SECRET figure. 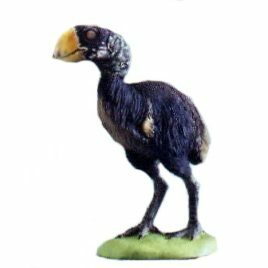 We have opened them for you so you can get the dinosaur you want! This Amazing Expo is open from 7/21 to 9/23 2012. We traveled 2 1/2 hours each way to attend and paid the rather pricey admission fee. We live in Japan so we are used to high costs and poor dollar yen exchange rates. We also attended the Yokohma Dino Expo which has exhibits from the Fukui Prefectural Dinosaur Museum. This Expo features some INCREDIBLE fossils and skeletal figures of dinosaurs found in China. 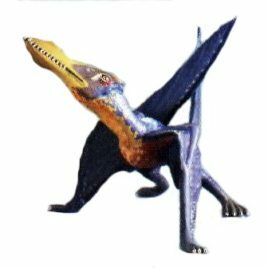 It has many Dinosaurs only recently named such as the Yutyrannosaurus Hauli. 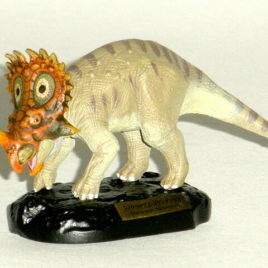 This Sinoceratops figure is approximately 2 1/2 inches long and about 1 1/2 inches tall. It is made of PVC and requires some snapping together. It comes with a stand. It is beautifully painted and detailed. 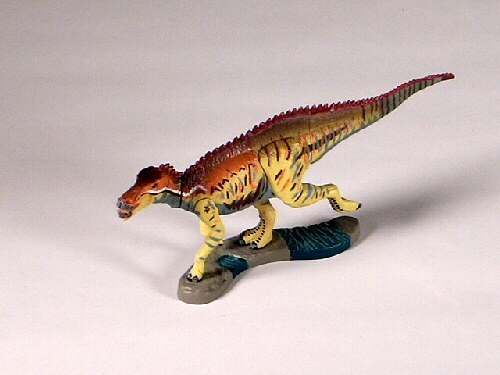 This Sinoceratops is meant to be paired in BATTLE with a Zhuchengtyrannus Magnus (please see the other figures in the series) Each one comes with its Original Paper insert which has the Dino Kingdom Logo on it. In addition we will include a Dino Kingdom promotional poster if you purchase all 7 of these figures. A WONDERFUL Addition to your Dinosaur Collection. Please scroll down for additional photos of the figures and some AWESOME PHOTOS of the EXPO.